Almost everyone knows about the Charles Schulz character Linus and his blanket. He drags it around wherever he goes, nibbling on its corner or curling up with it when the going gets tough. Security objects such as blankets are part of the emotional support system every child needs in his early years. Your child may not choose a blanket, of course. He may prefer a soft toy or even the satin trim on Mom’s bathrobe. Chances are, he’ll make his choice between months eight and twelve, and he’ll keep it with him for years to come. When he’s tired, it will help him get to sleep. When he’s separated from you, it will reassure him. When he’s frightened or upset, it will comfort him. When he’s in a strange place, it will help him feel at home. These special comforts are called transitional objects, because they help children make the emotional transition from dependence to independence. They work, in part, because they feel good: They’re soft, cuddly, and nice to touch. They’re also effective because of their familiarity. This so-called lovey has your child’s scent on it, and it reminds him of the comfort and security of his own room. It makes him feel that everything is going to be okay. Despite myths to the contrary, transitional objects are not a sign of weakness or insecurity, and there’s no reason to keep your child from using one. In fact, a transitional object can be so helpful that you may want to help him choose one and build it into his nighttime ritual. You also can make things easier for yourself by having two identical security objects. Doing this will allow you to wash one while the other is being used, thus sparing your baby (and yourself) a potential emotional crisis and a very bedraggled lovey. If your baby chooses a large blanket for his security object, you can easily turn it into two by cutting it in half. He has little sense of size and won’t notice the change. If he’s chosen a toy instead, try to find a duplicate as soon as possible. 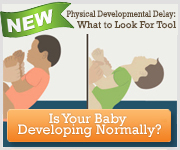 If you don’t start rotating them early, your child may refuse the second one because it feels too new and foreign. Parents often worry that transitional objects promote thumb sucking, and in fact they sometimes (but not always) do. But it’s important to remember that thumb or finger sucking is a normal, natural way for a young child to comfort himself. He’ll gradually give up both the transitional object and the sucking as he matures and finds other ways to cope with stress.